Power washing is the process of removing surface material such as dirt, mud, mildew, mold and other pollutants from the exterior features of your home or commercial property. There is no difference between Power Washing and Pressure Washing. On the other hand, there is a difference between soft washing and pressure washing. The Pressure Washing Guys provide both pressure washing and soft washing services to the commercial and residential customers in Laguna Woods. We use a soft washing method on more delicate surfaces such as vinyl siding or stucco on the exterior of your home or when washing a shingle roof. Pressure washing is used more on sidewalks, driveways and concrete or brick surfaces. The Pressure Washing Guys can apply the correct pressure on all types of surfaces to ensure there are no damages to your property. We also have the capabilities of using either hot or cold water. When removing gum from concrete sidewalks, we can lower the pressure to melt versus blasting. High-pressure risks damaging the concrete surface and leave etch marks. Our professionals use the correct method when providing service to your home or commercial property. Check out all the different services we have to offer. Hopefully, we can help with any and all your power washing or soft washing needs. 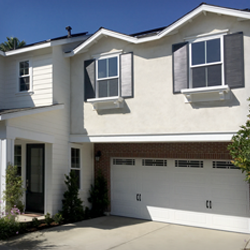 Your Laguna Woods roof completes the exterior appearance of your home. Your roof may be made up of shingles, wooden planks, metal or other materials. 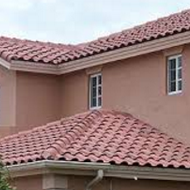 Your roof is your home’s protection from the outside world. It protects from the harsh elements such as rain, wind, storms, and direct sun. They are susceptible to dirt, mold, mildew, and stains. If your roof is left improperly maintained, the results could damage the integrity of the roof’s structure. The Pressure Washing Guys is an Orange County, family owned and operated power washing company that provides professional Laguna Woods Roof Cleaning Services. When cleaning your roof, we use a soft wash or low-pressure method that is safe for your home and the integrity of your roof. We believe in providing customers with a high-quality experience, affordable prices, and courteous customer service. Pavers add elegance to any property. But just like anything else over time, if left untreated pavers can accumulate stains and become an eyesore. 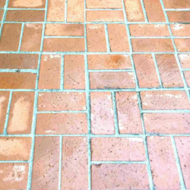 The Pressure Washing Guys offer Paver Cleaning and Sealing services to Orange County homeowners and property managers. The Pressure Washing Guys have the experience to perform your paver cleaning with the proper environmentally friendly cleaning agents and right water pressure and then finish with the right sealer to protect your investment. Whether you are looking for appearance, protective or stabilizing the paver joints, we are here to help any way we can. Call us today we look forward to providing you with all your paver cleaning and sealing needs in Orange County.